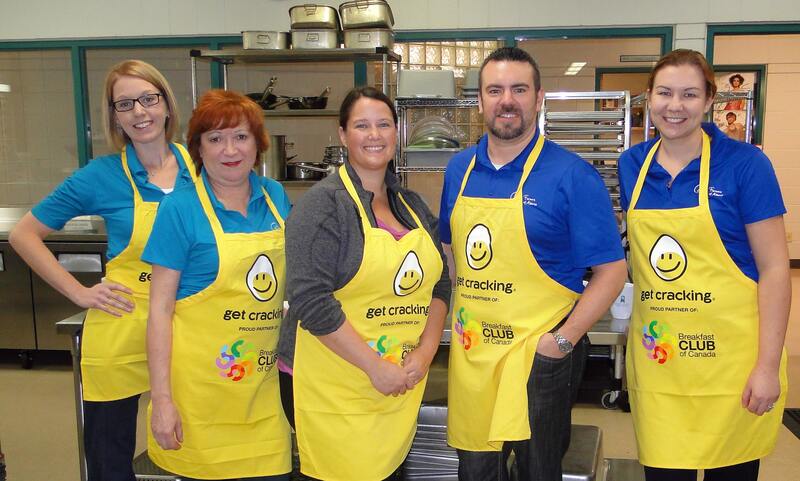 Egg Farmers of Alberta (EFA) has partnered with Breakfast Club of Canada (BCC) to help enhance school breakfast programs throughout Alberta. As part of EFA’s 2015 social responsibility initiatives, EFA has donated 3,000 dozen eggs to enable more schools to serve hot breakfast options more often. A monetary donation will cover the annual operating costs for the breakfast program in 3 Alberta schools, ensuring that thousands of breakfasts will be provided to hungry students. 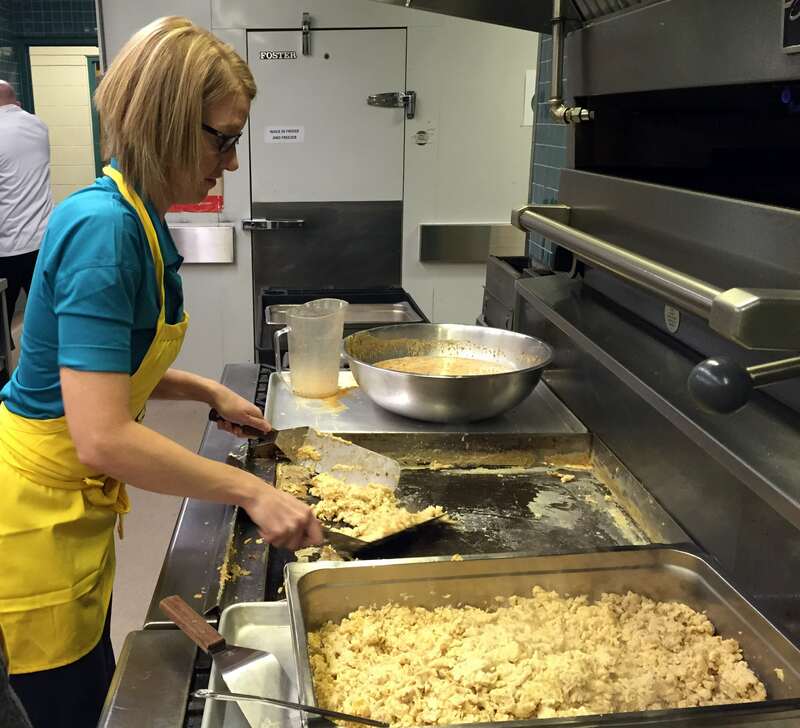 On November 17th, EFA staff members volunteered at Bishop McNally High School in Calgary, where they helped prepare and serve breakfast to approximately 150 students. It was a tremendous opportunity to see a Breakfast Club of Canada program in action, and to engage with some of the students, principals, teachers and school volunteers that will benefit from this partnership! 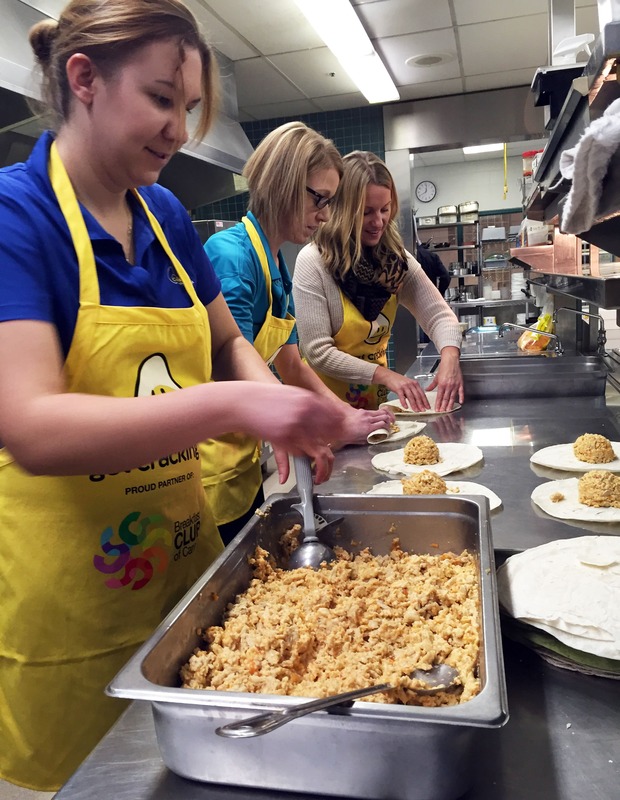 Founded in 1994, Breakfast Club of Canada operates in schools across Canada, including more than 80 active programs in Alberta. BCC estimates that 1 in 7 Canadian children are at risk of attending school on an empty stomach, which can have a dramatic impact on their ability to learn. According to BCC, enrollment numbers in Alberta school breakfast programs have increased significantly for the 2015-2016 school year, and there are more than 60 schools currently on the waiting list for new programs. Thanks to Emily Kampman with Breakfast Club of Canada and everyone at Bishop McNally High School for your hospitality. EFA staff enjoyed the opportunity to support such a worthwhile program, and to help prepare Western Egg Wraps for a great group of students! Alberta’s more than 160 egg farming families are proud to provide Albertans with fresh, high quality, locally produced eggs. 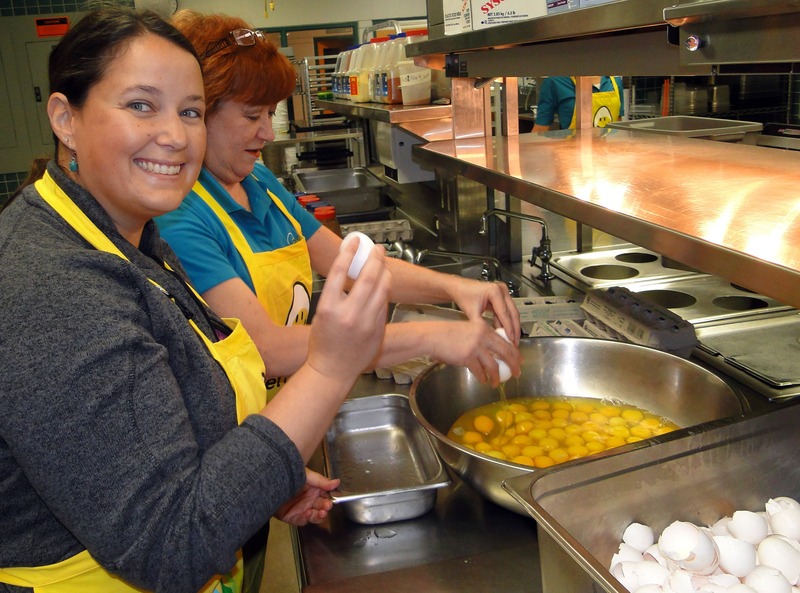 Sponsored in part by Egg Farmers of Canada’s Egg Farmers Give Back program, this provincial partnership will contribute to building healthy communities throughout Alberta. 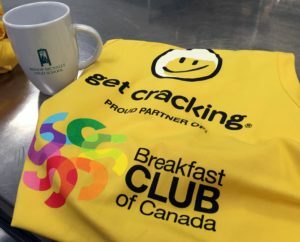 Visit www.breakfastclubcanada.org for more information about Breakfast Club of Canada, and to learn how you can help in your community!